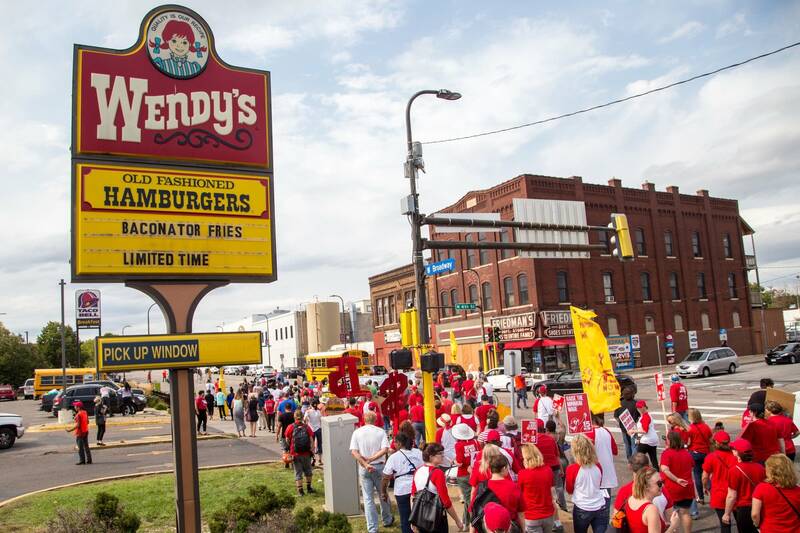 More than 100 people marched through north Minneapolis Monday afternoon in a demonstration calling for a $15 an hour minimum wage in the city. Low-wage workers, striking Allina nurses and supporters of a higher minimum wage were among those that shut down West Broadway Avenue between Interstate 94 and Dupont Avenue for less than an hour. Last month, the Minnesota Supreme Court struck down a ballot measure that would have allowed a Minneapolis vote on a higher minimum wage. The Supreme Court said a minimum wage hike is up the city council, reversing an earlier Hennepin County court ruling. With the ballot measure off the table this election, demonstrators on Monday called for Minneapolis leaders to pass an ordinance raising the pay floor. "It's hard for mothers, single mothers, two parent homes, single fathers, families period to live off the wages we're making now," said Rosheeda Credit, who was marching Monday. "And for them to sit here and tell us that we can't vote on what we make — they're taking our freedom of speech away from us. They're taking our right to vote away from us." Minneapolis business leaders have said the city shouldn't act alone to raise the minimum wage. 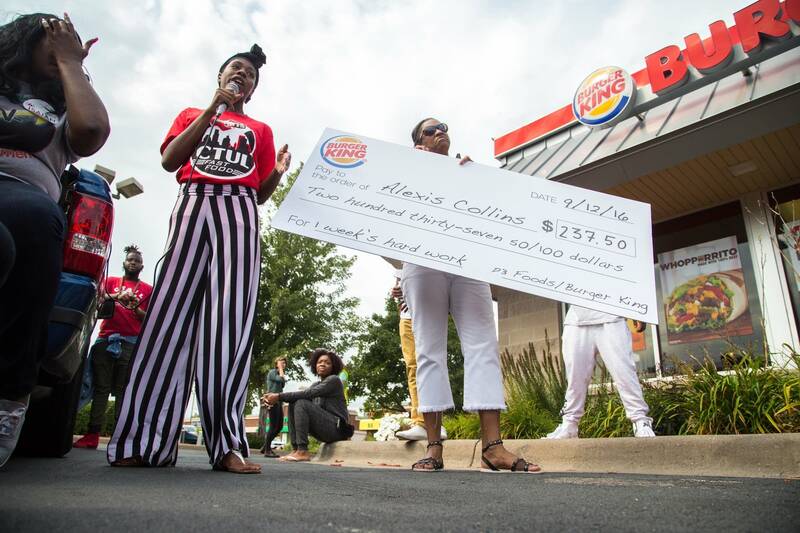 Marchers on Monday also denounced fast-food restaurants for their low pay rates and called for new regulations capping the interest rates charged by payday lenders.